The Australia work visa allows the applicant to work in Australia as an immigrant worker under the employer sponsorship for up to 4 years. The applicant’s family members could also be accompanied and could work and/or study in Australia if they wish. Be sponsored by a registered employer in Australia to work in an occupation which is listed in the skill shortage occupation list. Applicant should meet the required English language proficiency level set by the immigration office. Must have good health condition while applying for the Visa. Have skills, qualifications, and the work experience which meet the requirements of the proposed occupation. Be qualified for any pertinent licenses linked to the position. Must provide the necessary character or police clearance certificates. The work visa Australia applicant can live and work in Australia for up to 4 years. The applicant can sponsor their family with them to Australia. The eligible family members include spouse, de facto partners, dependent children, and other dependent relatives. The Family members will be required to provide supporting pieces of evidence to be eligible for Visa grant. To include your spouse on your visa application you will be required to provide a copy of marriage certificate. To bring your unmarried/de facto partners to Australia you will need to prove that you have been living together as a couple for at least 6 months continuously by submitting evidence like tenancy contracts, joint bank accounts, rent slips, travel itineraries and shared bills. To include the children in the visa application the documents which prove their birth(birth certificate) should be provided. Relatives can be included on the visa application if the applicant can prove that they are truly or entirely dependent on you to meet their basic living and financial requirements. If you want to work abroad, then for sure Australia would be one of the countries on your list. Along with the USA, Canada and Europe, Australia is another premier destination having a huge job market for skilled professionals and tradespeople. Every year, on average, the Australian government grants about 1,90,000 permanent visas and 1,00,000 temporary visas. There is a high demand for skilled workers there and you can fill that gap. To work in Australia, you must know how to apply for Australian Work Visa (and clearing the points-based Australian immigration system). This post will teach you how! How To Apply For Australian Work Visa? This Visa is for skilled workers and does not require any sponsors. It allows one to live and work with full rights in Australia without any expiry period of visa. You are also free to bring dependent family members with you. This visa is for skilled workers who are nominated by an Australian state or territory. You can live and work anywhere in Australia permanently. Also, you become eligible to include your family members in the visa application. Submit an Expression of Interest online through SkillSelect. If you are nominated by an Australian state or territory, you will then receive an invitation to apply. Students who have completed at least 2 years of study in Australia are eligible to apply. This visa is for skilled workers who are ready to live and work in a Regional or Low Population Growth Area. It’s valid for four years, and you must live and work in the specified regional area only. You can also include family members in the visa application. It is an invite-only visa and potential candidates are nominated by an Australian state or territory through the Skillselect program. This visa is an exception. It does not have any Skillselect point requirement. But it has difficult to meet requirements. It is a permanent visa and grants Australian PR to its holders. Applicants must already possess a Subclass 495 or 496 visa. They should have worked for 1 year in a specified region and lived for at least 2 years there. Very popular visa. Formerly, it was the 457 Work Visa. It is for skilled workers who want to work in Australia for up to 4 years. You can bring family members to Australia on this visa. An employer/company in Australia must be willing to sponsor you for the Visa. This visa for travelers who want to stay for an extended period of time in Australia. They are allowed to work and travel in Australia for up to 1 year. Maximum 6 months with 1 single employer. This visa is granted to citizens of Canada, Cyprus, Denmark, Estonia, Finland, France, Germany, Hong Kong, Ireland, Italy, Japan, South Korea, Malta and the Netherlands. You’ve to apply for the visa when you are in a country outside Australia. The application can be made online or by post. Applicants must be between the ages of 18 and 30 and can be either single or married. However, they should be without children. This visa is similar to Subclass 462. The main difference is in the countries where citizens are allowed to apply for this visa. UK, Canada, The Netherlands, Japan, Ireland, South Korea, Thailand, Malta, Germany, Denmark, Sweden, Norway, Hong Kong, Finland, Cyprus, France, Italy, Belgium, Estonia, Bangladesh, Chile and Taiwan. Same conditions as above. Also, 417 Visa holders can apply for the same visa a second time. However, 462 visa holders cannot do that. Skillselect is a points-based system. Each Australian visa applicant is evaluated based on certain criteria and awarded points accordingly. This is a relatively simple step and would be handled by the company/employer in Australia sponsoring you. 8. CV, Mark sheets and relevant certificates. This is the final step of the process. Simply pay the visa fees online and be done with your application! How much does the Australian Working Visa cost? It depends on the type of Work Visa you are applying for. Also, the price keeps on changing from time to time. You can typically expect the Visa to processed anywhere between 8 to 12 weeks. The process depends on the correct submission of your documents and filling up the visa application forms without any mistakes. Any mistakes would simply prolong the process. To apply for Australian Work Visa in a hassle-free manner, we can help you. 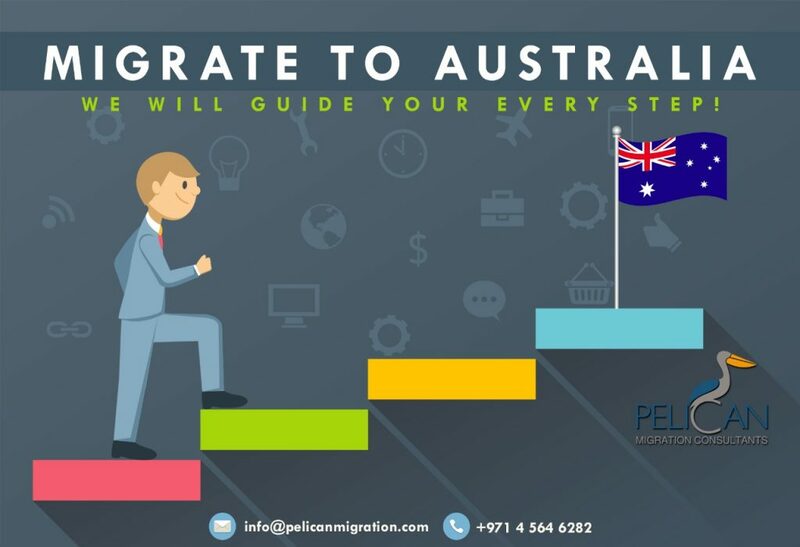 Pelican Migration Consultants employs expert professionals to take care of your visa applications. Get the visa in the lowest turnaround time with Pelican and fly to your dream destination!